Already have IceDice? Just need some extra pyramids to play with more players, or to play other games with your Looney Pyramids? This booster comes with 15 pyramids in the Rainbow color scheme (Red, Green, Yellow, Blue and Black), including a small, medium, and large pyramid of each color. 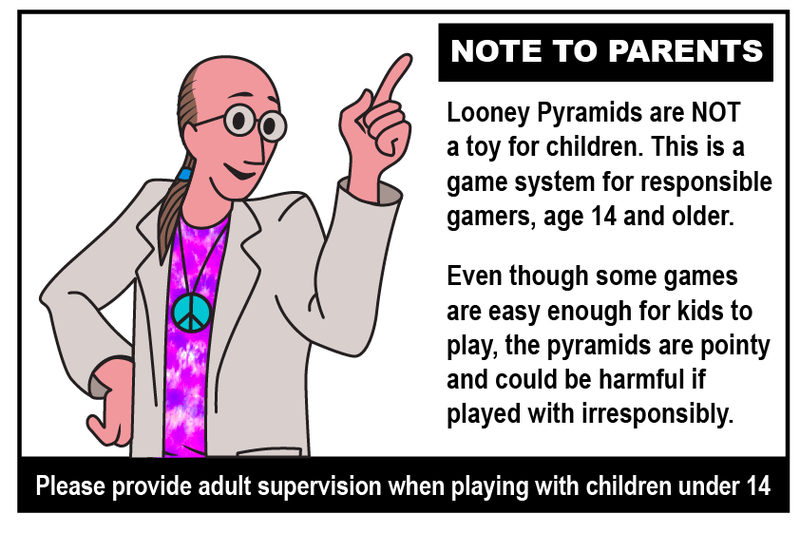 Packaged in a tuck box the size of Looney Labs card games, no rules are included, but each box includes a copy of the Pocket Guide to Looney Pyramids which highlights 13 games that can be played with Looney Pyramids. For responsible gamers ages 14 and up!